We were meeting out the pond today so I got up early for a change and stopped off at Burger King to get a coffee and a sausage and egg muffin thingy which I have to say wasn’t great! 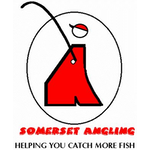 There were sixteen anglers booked in for today as the pond’s popularity continues to grow, even the Langport Invader, Baz Morgan, had joined us for the day! We actually had a draw bucket today and I was hoping for a nice peg on the near side, 17 or 18 would do but when I pulled a ping pong ball out, it had the poxy number 24 on it! That’s the third time in seven matches and along with peg 4 twice, peg 8 and peg 22, my drawing arm is officially broken. 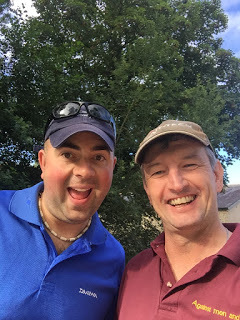 Normal service resumed for Ash who was on his favourite peg 17 and with Rob on 19 again, I’m sure they’d need a passport if they ever drew the far side! Baz was on 18 and Scott was down (or should that be up!) on peg 15 which is rather high off the water. 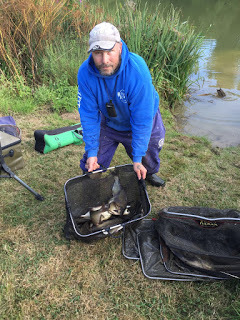 I was just heading to my peg when a young chap turned up asking where Rob was, it turns out he’d booked in with Rob but had thought the draw was at 9:30, luckily Rob had put a couple of extra pegs in and he ended up on my right in peg 22. I had a quick chat and he said his name was Liam and it was his first match, it’s always nice to see new faces and hopefully we’ll see him again. I didn’t take a picture of the peg (if you want to see it just look at the report of the last time I drew it, or the time before……), I did get a photo of Ash and me and he looked rather pleased with his peg. 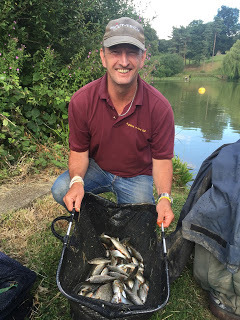 I got my box level and mixed up some groundbait before setting my rigs up. Three rigs today, a 1 gram Drennan Tipo for fishing on the deck, a little Preston Chianti for fishing shallow and a 0.4 gram Drennan Carp with 0.14mm bottom and size 16 B911 for fishing by the bush. 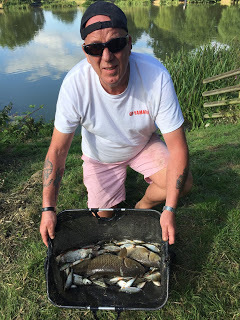 I was just about ready when Rob blew to get us underway and I cupped in two balls of groundbait straight out in front and a full pot of casters, hemp, maggots, pellets and corn by the bush at 8.5 metres. 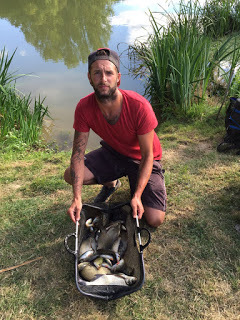 I started on the deep rig with caster on the hook and was soon swinging in my first small roach, more followed with most coming on the drop but once again I wasn’t getting any quality. There were quite a few bubbles coming up over the groundbait so after half an hour or so I tried a grain of corn to see if I could sort out some better fish, I missed a couple of bites before catching a 3oz roach so that wasn’t the answer and I’d wasted ten minutes, after an hour I only had 19 fish for around a pound. 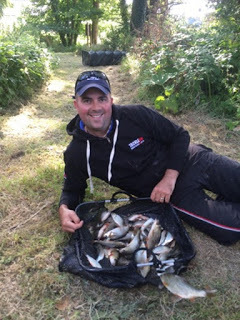 I tried the shallow rig and my catch rate improved but the size of the roach didn’t, after the second hour I was up to 50 fish but I’d heard Frank ask Fieldy how many fish he’d had and he was already on 104! I decided to have my first look by the bush but would only give it ten minutes or so because if the chub are there you’ll normally get one straight away. I shipped out with a piece of corn on the hook and after a couple of minutes the float sailed away and of course I missed it! 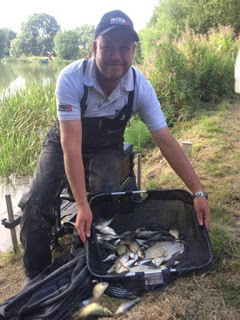 I had a couple of knocks but no more positive indications so I cupped in some more feed before going back out shallow. I was feeding two lines, straight out at 10 metres and just off the end of the bush at the same distance and I was catching quite well swapping between the two but I just couldn’t catch any quality. 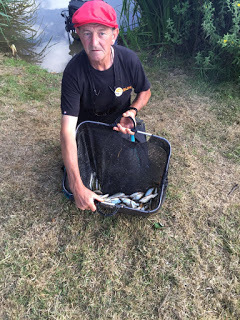 Just as the third hour began I had another look on my big fish line and the float disappeared from view and this time a chub was on……all 3oz of it! I had another chublet on corn before trying triple caster, the float buried and this time the culprit was a 2oz perch so I fed it again and went back out long with the shallow rig. 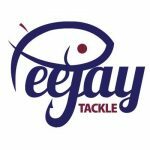 The trouble is, every time I tried the big fish line and didn’t get one, I was falling further and further behind the likes of Fieldy and Ashley who I knew would stick to their task of catching roach and would not deviate, they’re like the Terminators of the fishing world! 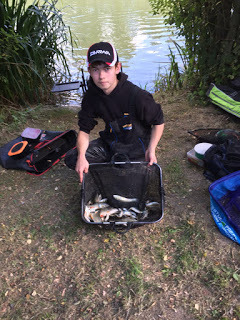 From what I could see, Liam on 22 and Frank on 21 were struggling, Rob had landed a couple of better fish on peg 19, it sounded like Baz hadn’t had much on the feeder from peg 18 and I hadn’t seen Scotty catch much down on peg 15. So if Ash and Fieldy framed per usual I thought there might be an outside chance of a double default section win. 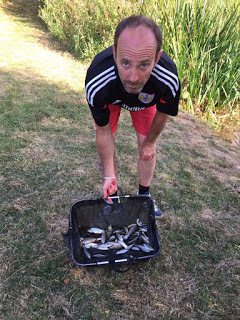 For the rest of the match I would spent 45 minutes fishing shallow catching 1-2oz roach before trying to catch a proper chub (unsuccessfully) by the bush. 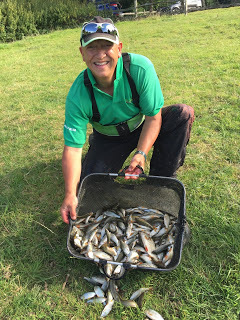 I did manage a couple of better roach and some chublets from the shallow line off the end of the bush but my big fish line only yielded a couple more mini chub and when the all out was called my clicker was reading 131 fish which I thought might give me 8lb or so. 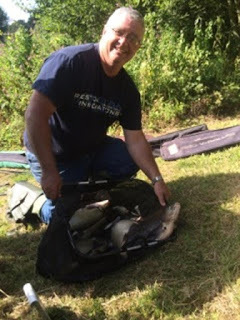 With half the anglers recording double figure weights, it’s brilliant fishing but I’m just well off the pace. 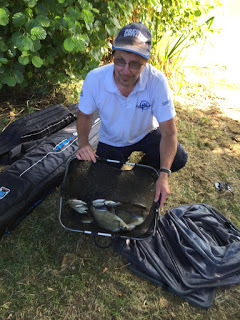 I think I did the right thing today by trying to catch chub because even if I’d just fished for the roach all day, I still wouldn’t have caught the 19lb needed to win the section. In the league, after dropping the two worst results Graham leads with 8 points followed by Ashley on 9 and Alvin (who didn’t fish today) on 13. I’m having a really barren run at the moment, I was having a fantastic year and then I came back off holiday and I haven’t won a bean since, I’m at Summerhayes next week so make sure you come back to see how I get on.